Let’s pause for a moment and think of all the things we could/should do before diving straight into re-touching. The steps outlined in this mini-tutorial are common to any re-touching workflow so we won’t repeat them in future tutorials. 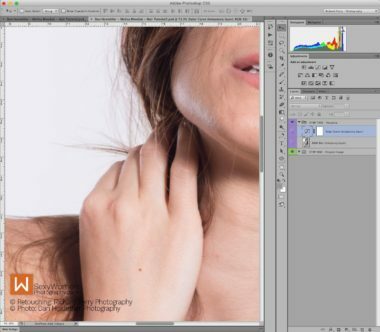 Here we are applying them to the series of mini-tutorials on Hair Re-Touching. The first “quick win” we can have, is to get things right in camera. A little time spent making sure everything is right when shooting can save so much more time later. Hours spent fixing an image in post-production will soon convince you to check before you shoot. 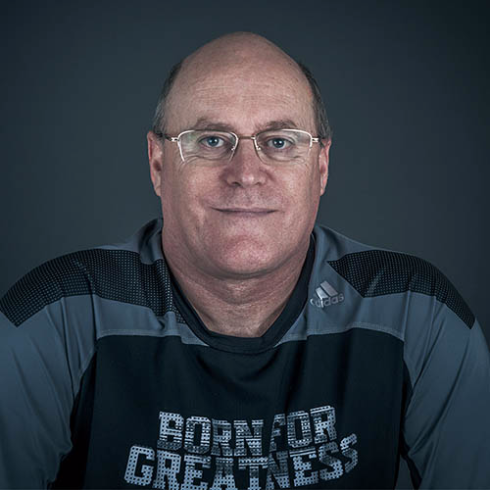 So, if you can, while you shoot, get someone to spot stray hairs, errant clothing labels etc. This will free you up to concentrate on shooting, as well as save you hours of needless re-touching. But no matter how careful you are, there will always be the stray hair or two, so it helps to know how to deal with them. Quick Win 2: Do I Need Retouching? The just got out of bed, crumpled look might be exactly what you are after, so there’s no need to ‘fix’ the image. Or it might just be a quick snap to post on social media that is not worth the time or effort to spend hours re-touching. Remember you do not have to fix everything, just enough to lift the image. This series of Mini Quick-Win Tutorials tackles individual issues that arise during a re-touch. It might appear to be long and involved but remember, we are also trying to demonstrate a range of techniques. You do not need to use all of them, but some may well save you a great deal of time and raise your images to the next level. Note: I am using Photoshop CS6 (I am too cheap to pay for Photoshop CC, and CS6 does everything I need). Also, I am using a Mac, the menus etc. are more or less the same between PC and Mac as well as between different versions of Photoshop. to keep both Mac and PC users happy. For the Hair Tutorials we are using a Dan Hostettler photo of the beautiful Melisa Mendini. Often if an image does need re-touching people just smooth the skin, brighten the eyes and ignore the hair. We are going to show you some quick and easy ways of re-touching hair that will help to raise your images to a new level. A good image (see Before Image) out of camera, but it could still do with a little re-touching (see After Image). We are using the RAW image file opened in Photoshop as a “Smart Object”. This lets us make non-destructive adjustments in Adobe Camera Raw (ACR) if needed. In line with our aim of non-destructive workflow we make a duplicate of the original image. Any re-touching will be on the duplicate layer, or even better, on a blank layer above the image layer. 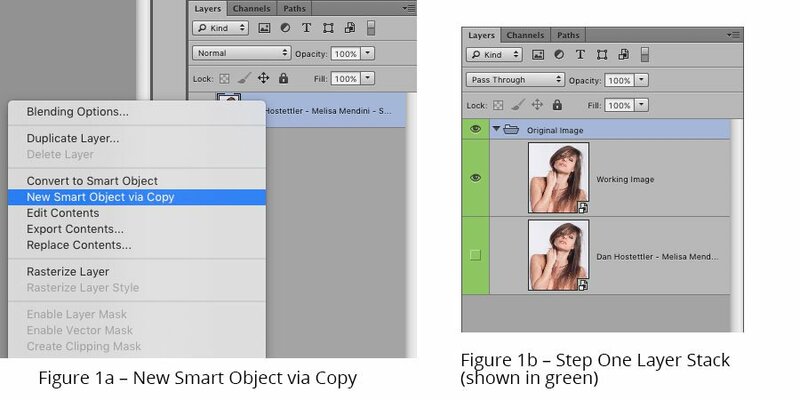 Since we are using a Smart Image we need to right-click on the image layer and select <New Smart Object via Copy> (see Figure 1a). Then uncheck the original layer’s eye icon so that the layer can no longer been seen (or edited). If you are not using smart objects then simply <Cmd/Ctrl+J> will duplicate the image. Select both the original layer and the duplicate layer just created and press <Cmd+G/Ctrl+G> to create a group layer folder containing the two layers and name the group something memorable. This isn’t strictly necessary but it does keep things neat and tidy. Figure 1b shows the layer stack in GREEN that is the result of the actions in Step One. A quick easy way to visualise is to half close your eyes and squint at the image. This helps block out distracting finer details and focus on tones, composition, etc. It may also help to create a couple of temporary visualisation layers that you turn on or off separately. To do this use the following steps to create a simple black and white version of the image to remove distracting colour. Then add a blur it to remove distracting fine detail. Move to the top of the layer stack by pressing the Option/Alt Key and the period key <Option/Alt+>. Create a new blank layer <Shift+Option/Alt+Cmd/Ctrl+N>. Desaturate the layer by pressing <Cmd/Ctrl+U> and drop the saturation completely. Blur the layer using <Filter, Blur, Gaussian Blur>, in this case we used a value of 40 pixels to leave only patches of light and dark (see Figure 2a). Turning this layer on and off helps to identify uneven tones and distracting highlights etc. 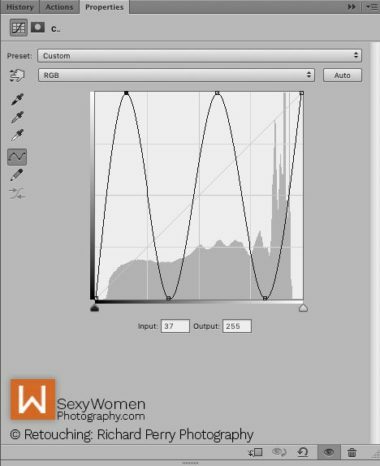 You may find it helpful to create a temporary ”Solar Curve” layer on top of all your other layers. It is essentially a “Curves Adjustment Layer” with 6 points spread evenly across the curve but at extreme ends to create a zigzag curve. 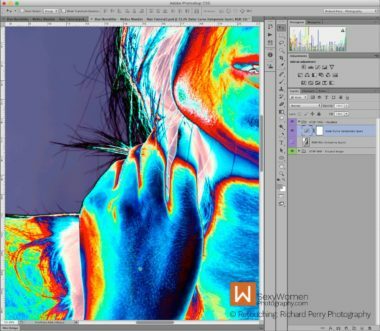 The effect on the image is dramatic, it makes it go psychedelic but is really helpful for highlighting small details such as skin imperfections and Stray Hairs. Create a new CURVES adjustment layer by clicking on the small icon at the bottom of the layers panel and selecting <Curve>. This creates a wavy curve with six points, roughly equidistant across and alternating bottom, top, bottom, top, etc. (see Figure 2b). To make this an even easier quick win, we have created an ACTION for you that will do this automatically. With Photoshop open simply click on the downloaded action to load the action into Photoshop. To run the action once it is loaded into Photoshop, select <Window> from the top menu bar, then <Actions>, or alternatively press <Option/Alt+F9> and then select and run the Solar Curve Action. To see the effect and how well it highlights stray hairs, compare Figure 2c where the Solar Layer is OFF and Figure 2d with it ON. Figure 2d – With Solar Curve ONRe-touching is done on layers beneath the Solar Curve layer and while the colours take a little getting used to, it can be a useful aid to locating and re-touching those stray hairs, identifying dust spots, skin blemishes or uneven dodging and burning. Here we are using it to help us see those faint stray hairs against the white background. Figure 2e shows the layer stack (in Red) after we have completed these steps. Again we have grouped the layers of the visualisation step. Remember these are TEMPORARY layers only to help you visualise the image, turn them on and off as required. The Solar Curve is particularly useful when re-touching stray hairs. Having visualised the final image it is helpful to make a few notes to guide our re-touching. We can do this on a blank layer above the image. This will serve as a reference and reminder as we progress through the re-touch. With the image map on top of the other layers, we can turn it on and off as needed to remind us of what needs fixing. Then using a hard, fine, coloured, brush, annotate on the layer all the changes you think you need to make. The image map (see Figure 3a) highlights the issues to tackle as we go from the BEFORE image to the re-touched AFTER image. Figure 3b (in Orange) shows the layer stack after creating the Image Map Layer, or layers (here we created separate image maps for the different hair re-touching mini-tutorials. Gaps in the hair, shown in GREEN (Steps 9 – 10, using copy paste and transform warp). Select all the image map layers and press <Cmd/Ctrl+G> to group them all into a single folder and name it “Image Map”, (it’s optional, but I have a thing about being neat and tidy and organised). The important thing is that these layers remain at the top of the stack so that we can turn them on and off at any time as a reminder of what needs to be re-touched. Figure 3b – Image Map Layer StackOkay, we are now ready to move onto our Quick-Wins for Hair Re-Touching. So first we will look at re-touching Stray Hairs. Actions “Frequency Separation” & “Solar Curve”: Download the Actions for PS here. How do you prepare your files before starting the actual post-processing workflow?